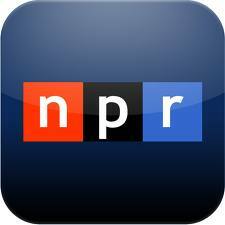 Here’s an interview about Zombie, Ohio I did with the NPR affiliate in Cincinnati. We recorded it in March, and I just found out it aired last weekend. To listen, click here and scroll down to the Zombie, Ohio link halfway down the page. Great job on the interview, Scott. You and the guy asking the questions had good repartee. Throwing props to Romero was cool, as well. Nice touch. I agree with you that I’m a slow zombie guy; although I do find the infected/fast zombies more scary. Those bastards from the 28 days movies were freakin’ terrifying. Right now I’m reading World War Z by Max Brooks with the intent on doing a review on my blog. After I finish with it, I’ll set my sights on doing a review of Zombie, Ohio. Sounds like a great read; very original concept with the murder mystery/semi-sentient zombie thing. Respect.